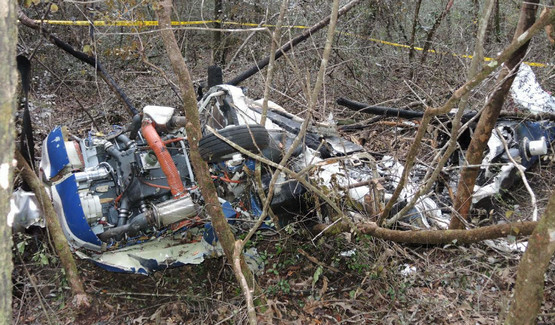 On February 1, 2016, about 19:45 central standard time, a Cessna 182T, N784CP, was destroyed by a collision with trees, terrain and a post-crash fire following a missed approach to the Mobile Regional Airport (MOB), Mobile, Alabama. The accident flight was the final leg of a 300-nautical mile (nm), three-leg “compassion flight;” the purpose of the flight was to transport a passenger from Florida to her home in Louisiana. 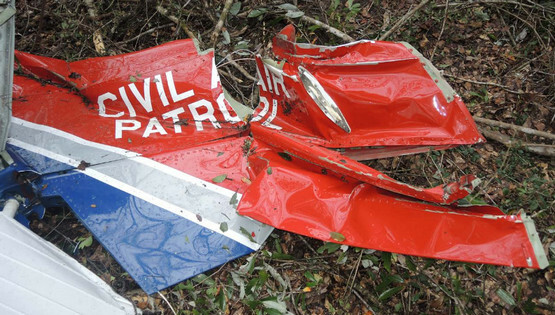 The pilots departed BFM about 09:30 on the day of the accident and flew to Northwest Florida Beaches International Airport (ECP), Panama City Florida. While at ECP, the pilot contacted the flight release officer (FRO) to inform him that their departure would be delayed about 2 1/2 hours due to a problem with the airplane that was delivering the passenger to ECP. After the passenger arrived, the flight departed ECP for L38 about 15:00. The FBO owner was concerned about the accident pilots flying at night given the potential for fog and offered them a courtesy car and assistance with obtaining accommodations for the night. The crew acknowledged his concern about the weather but wanted to return to BFM in time for their CAP meeting and before the fog set in. At 18:33, the flight which was operating under the call sign “CAP 184,” departed L38, contacted air traffic control (ATC), and was issued an instrument flight rules clearance to BFM. The airplane was found about 1 nm mile west of MOB at 02:00 on February 2, 2016, after search personnel tracked the airplane’s emergency locator transmitter (ELT) to the accident site. According to the FAA’s General Aviation Joint Steering Committee, a pilot’s sight, supported by other senses, allows a pilot to maintain orientation while flying. However, when visibility is restricted (i.e., no visual reference to the horizon or surface detected), the body’s supporting senses can conflict with what is seen. When this spatial disorientation occurs, sensory conflicts and optical illusions often make it difficult for a pilot to tell which way is up.